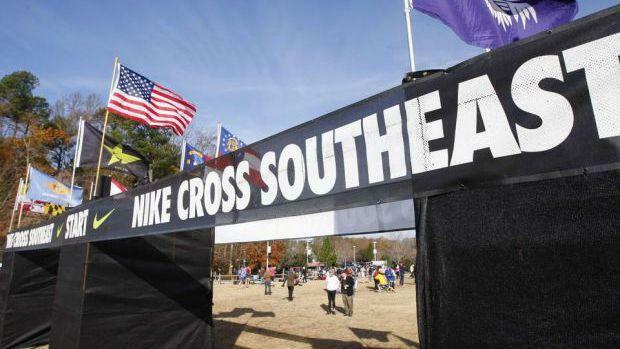 Several of the top individuals and teams from the state of Florida will head to Cary, North Carolina for the NXN Southeast Regional. The top two teams will receive an automatic bid to NXN in Portland, Oregon while the other teams will be in the running for an at-large bid. On the individual side, the top five not on a qualifying team punch their ticket to Portland. Check out which of our Sunshine State standouts have the best chance at making it. Also, be sure to tune in all weekend for live updates from our MileSplit on-site coverage team as well as videos, interviews, photos, and a recap of all the action. In 2011, the Miami Magis (Belen Jesuit) finished first at the NXN Southeast Regional lead by individual champion Elliot Clemente and earned their spot against the nation's best in Portland, Oregon. No other team has qualified since then, but the Avery Creek Running Club (pictured above) is trying to change that. The group which is comprised of members of Trinity Prep's undefeated 2A state championship team will be looking for more hardware to add to their collection one week after winning the small school national championship in Lexington, Kentucky. Even though it was Thanksgiving on Thursday, the boys didn't rest up. Coach Vinal said the team went back to work on Monday with a hot 45 miles, a 2x2k step down workout, and a 3x500m workout before they ate their Thanksgiving feasts and turkey on Thursday Morning. The team's strength all season has been it's tight pack running with a 1-5 spread just over 20 seconds. On any given day, Chas Cook, Jesse Millson, or Trent Mandato can be the number one runner with Patrick Salas, and Kayamo Gallomay right on their heels. Both Kayamo and brother Mamush did not compete in the small school national championships and despite that they still posted a winning score of 20 points! 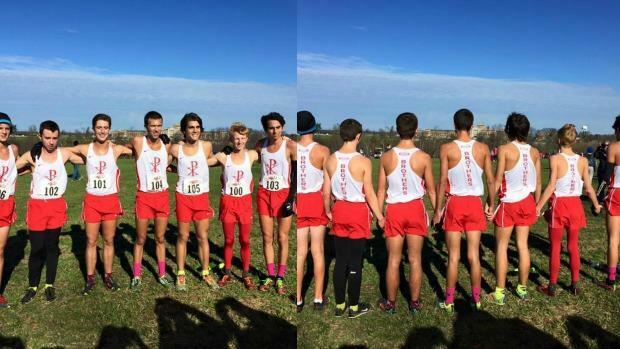 Our team score predictions have Avery Park Running Club seeded fourth behind Marietta High School (GA), Broughton (NC), and St. Xavier (KY) with 40 points separating 2nd from 4th. If Avery Creek is on their "A" game that second spot could be theirs. The top two teams advance to Nike Cross Nationals in Portland, Oregon with the remaining teams still in the mix for an at-large bid. Last year, the team was 22nd out of 35 teams. The top five runners not on the top two qualifying teams will advance to Nike Cross Nationals. Besides the Avery Creek Running Club boys only five other Florida individuals are entered in championship race. Last year, the Sunshine State Sukhi Khosla (2nd) and Franco Martins (4th), but the 2015 class is significantly weaker. Sub 15:10 will likely get a an individual spot, but none of the entries from Florida have come close to that number. 1A runner-up Luke Peterson ran 16:02.55 at state, but is coming off a 17th place showing at the FACA Senior All-Star Classic. Caleb Pottorff, a junior at Lincoln Park Academy was the 2A runner-up running a personal best 16:00.12 just three weeks ago. The top individual is Joshua Collins of Belen Jesuit (pictured above). 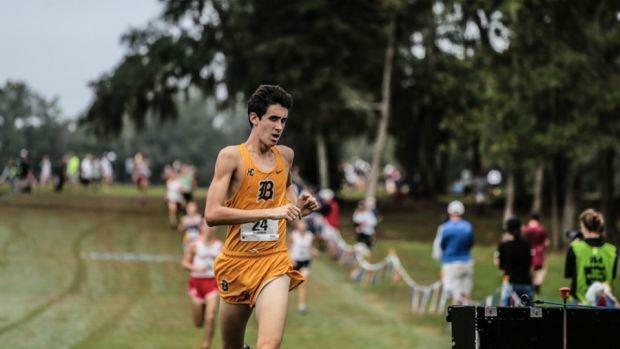 The sophomore ran under 16 minutes numerous times in 2015, including a PR of 15:52.21 at the UF Mt. Dew Invitational. 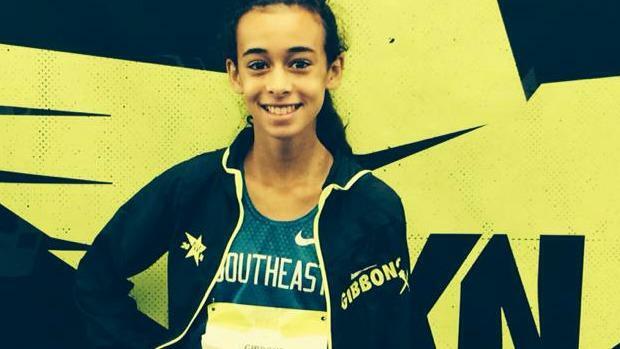 Collins was 4th last year at Foot Locker South in the freshman race. Sean Breslin and Darian Adriano of 4A state champion St. Thomas Aquinas are also entered. No Florida girls team has ever qualified out of the Southeast Regional. Bulldog Cross Country (pictured above) which is composed of members of the Bolles School team and Park XC Club (Winter Park) will have to work very hard if they want to change that feat in 2015. Park XC Club is lead by Rafaella Gibbons who was 6th overall last year in a time of 17:39.40 and went onto run in Portland where she finished 27th against the best in the country. Bolles (Bulldog Cross Country) is coming off of their 4th consecutive 2A state title while Winter Park is the defending 4A state champions in Florida. Both teams are extremely talented and have impressive depth. However, they are seeded 12th and 16th respectively heading into Saturday's meet meaning they will need stellar performances all around if they want to make the big dance as a team and improve on their 7th and 9th place showings from a year ago. Rafaella Gibbons is by far the best Florida individual in the field and that includes 1A state champion Hannah Brookover, 2A champion runner-up Caitlyn Collier, 3A state champion Brittany Gill of Dillard and runner-up Krissy Gear of Fort Myers. After talking, with a majority of these girls after the state meet they felt, and by large part watching Gibbons last year that running NXNSE was their best path to a national meet. The 2014 4A state champion, Gibbons was poised to keep her undefeated streak alive at the state meet, but she wasn't 100 percent and finished a disappointing fifth a week after running a state leading 17:27.51 at the regional championship. She's been training for this meet since the cross country season began in August and would like nothing more to make a return trip which would be even sweeter if she could pull off the feat with her teammates. Brookover was 25th last year, but will need to drop around 30 seconds off of her 18:19.50 from last year. 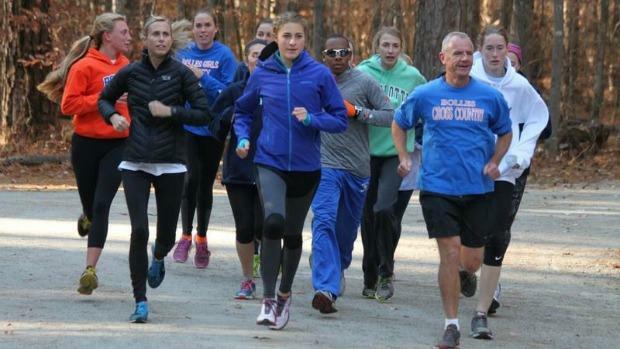 Gill, who surprised many winning the 3A state title in her first year of cross country has never run this race, but has very good track speed and could use her tall stature and long strides to her advantage on the Wake Med course. Others to watch include Rebecca Clark from Mt. Dora Bible and 2013 4A cross country champion and University of Alabama signee Alexa Cruz.